Patz > Resources > Articles & Related Links > Agri-View History Profile: Patz Sales, Inc.
Company founder Paul Patz saw the need for a rugged, efficient piece of equipment that would end the laborious and time-consuming daily chore of cleaning gutters. He designed his first gutter cleaner and installed it himself. From 1946 to 1947, Patz continued to perfect his gutter cleaner until it performed to his satisfaction. It was the unique, one-piece, heavy-duty link, invented and patented by Patz, which led to the success of this invention that carried manure out of the barn, saving time and labor for the farmer. Patz sold his first gutter cleaner in 1948 and hundreds more over the next two years. By 1950, Patz moved his business off the family farm and into a factory and office building to accommodate increasing sales demand for the Patz Gutter Cleaner. He continued to develop other products to save time and increase efficiency on the farm such as silo unloaders, cattle feeders, silage carts, and manure stackers. In 1971, a fire destroyed nearly the entire manufacturing facility. Demonstrating the same resiliency that made Patz products famous, the company rebuilt the factory into a modern manufacturing plant, increasing its efficiency and lowering production costs. Today, Patz Sales, Inc. has over 5-1/2 acres – 250,000 square feet – under its roof. The current facility is capable of state-of-the-art manufacturing technologies and processes including designing and proto-typing, fabricating, welding, machining, powder coat painting, assembly, and shipping. Patz remains a family owned company with second and third generation family members actively involved in the business. The backbone of the company is its people. Patz credits their employees and dealers as the reason for its success. The 160-member team performs a variety of tasks in the manufacturing plant and administrative office, and includes a core group of in-house engineers. A high percentage of Patz employees have served the company for 25 years or more. The company that began with one farmer, now has a distribution network of several hundred dealers, distributors, original equipment manufacturers and representatives in the United States and various export markets. Its customer base includes dairy farms, poultry, hog, beef, ostrich, equine and even reindeer farms. 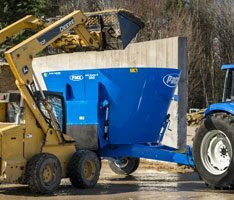 As the farming industry has changed, Patz has responded with additional products such as conveyors, material movers, horizontal and vertical mixers, bale choppers, pumps and scrapers to meet the changing needs of its customers. Many products developed for agricultural use have been adapted for the industrial/commercial markets as well. After 57 years, Patz continues to thrive in an ever-changing market by listening to the needs of the customers it serves, from small dairies to large corporate farming operations. 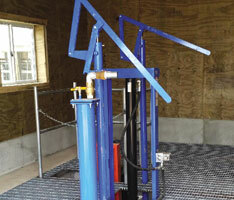 Patz recently announced the addition of two new products at Wisconsin Farm Technology Days in Loyal. 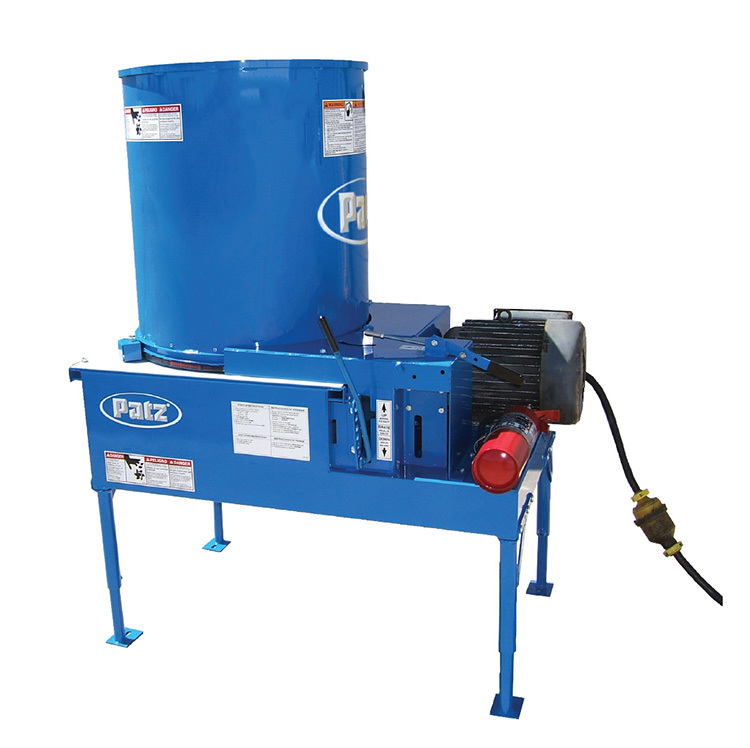 The new Patz Model 800 Single Screw Vertical Mixer is an economical TMR mixer capable of mixing up to 400 cubic feet. Field tests have demonstrated this mixer to perform as well as the larger Patz Model 1100, while offering an affordable price tag for farms with a limited budget. Patz also introduced the new Model A1 Single Auger Silo Unloader. The easy-to-install unloader has a unique, simple design. 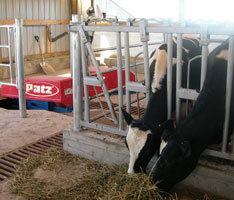 On-farm tests have shown fast delivery of silage from silo to chute. 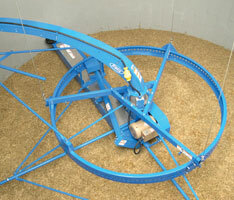 Also available, a Patz A1 KIP converts existing drive ring chain unloaders to a single auger unloader. President Darrell Patz, son of company founder Paul Patz, is enthusiastic about the current state of the company. Says Patz, “Fifty-seven years ago my father had a vision to meet the dairy farmers’ needs with innovative quality products backed with great customer service. That commitment hasn’t changed.” Seeing is believing, and that is why Patz shares customer “Success Stories” on the company website at www.patzsales.com.